Ashok Leyland Limited, India has signed a contract agreement today with Sajha Yatayat, Pulchowk, Lalitpur for supply of 30 units City Buses in Nepal. AshokLeyland will be supplying 30 units fully built city buses to Sajha Yatayat as per notification of award announcement from Sajha Yatayat to AshokLeyland India. The said city buses will have seating capacity of more than 40 people on an average. Ashok Leyland is the market leader in Bus manufacturer in India. Ashok Leyland India is a fully owned subsidiary of The Hinduja Group. AL India has its presence in other countries like Srilanka and Bangladesh as well. AL Buses are environment friendly as well as compatible for comfort riding for differently abled people. 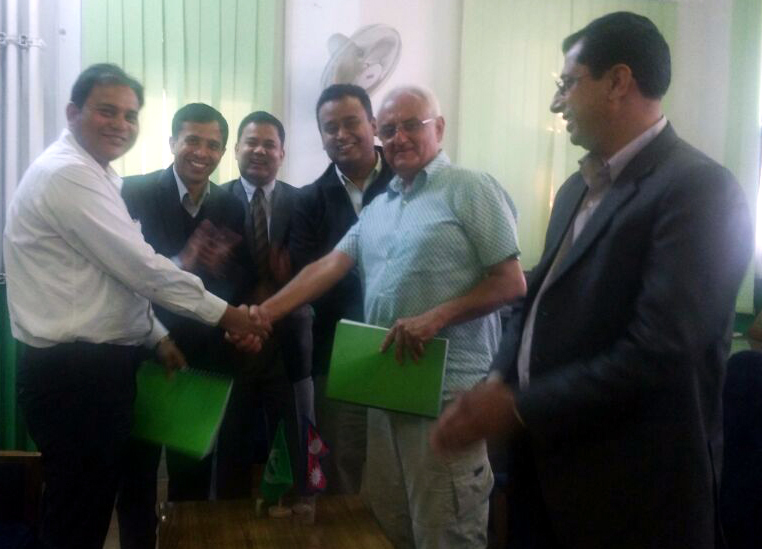 In the contract signing ceremony dated 24 March 2016, organized at office premises of Sajha Yatayat, Lalitpur, Mr. Kanak Mani Dixit, Chairman, Sajha Yatayat exchanged the contract with Mr. Gaurav Kumar, representative from AshokLeyland India. With its unison with IME in Nepal, Ashok Leyland vehicles are expected to reach new highs in Nepal Market as well. LT Enterprises, a trading subsidiary of IME Group, is the sole authorized distributor of Ashok Leyland brand of commercial vehicles for Nepal.